Autoimmune disease refers to illnesses that occur when body tissues are attacked by its own immune system. Common autoimmune diseases include rheumatoid arthritis, lupus, Sjögren’s syndrome, scleroderma, vasculitis, thrombocytopenic purpura, Graves disease, inflammatory bowel disease, psoriasis and other hard-to-cure diseases. 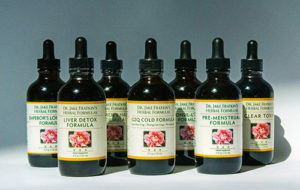 Western medicines for autoimmune diseases include corticosteroids and immunosuppresants. 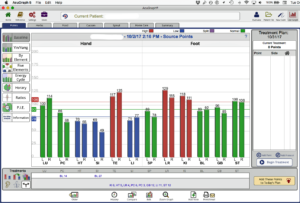 While controlling symptoms quickly, long-term use increases the risk of infection and reduced adrenal function, and can affect the bone marrow. As patients become aware of these side effects, they seek treatment with Chinese herbal medicinals. 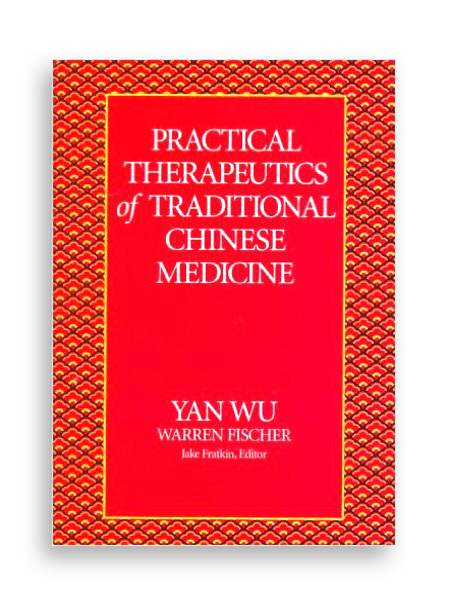 TCM therapies do more than relieve symptoms; they slow or reverse disease development, and mitigate damage by Western medications. 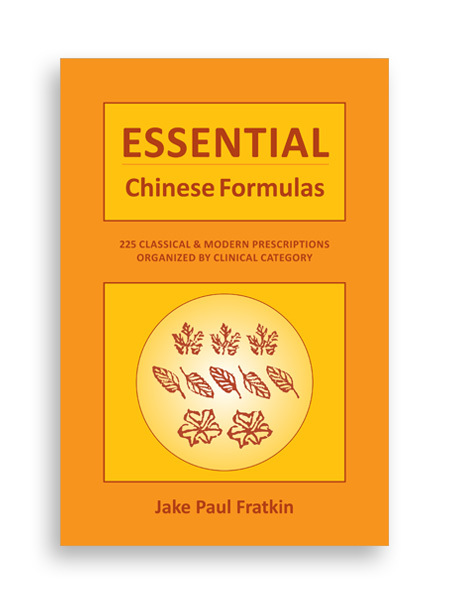 The Chinese approach is to boost vital qi by addressing deficiencies of qi, blood, yin or yang; addressing exogenous pathogenic factors such as heat toxins; and clearing accumulations of phlegm, damp or blood stasis. Professor Zeng Sheng-ping is a renowned specialist in autoimmune disease at the Chengdu University of Traditional Chinese Medicine. 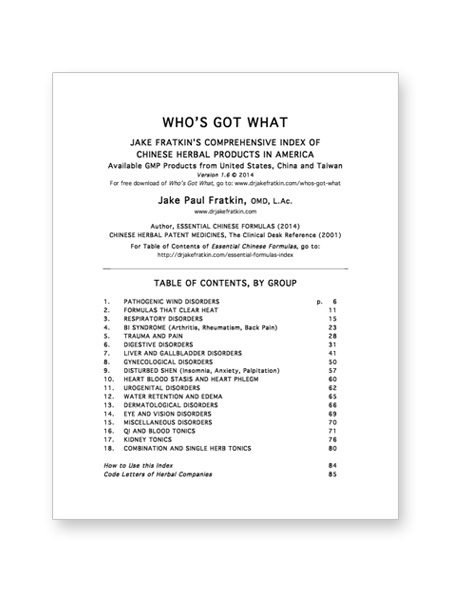 Jake Paul Fratkin, OMD, L.Ac. 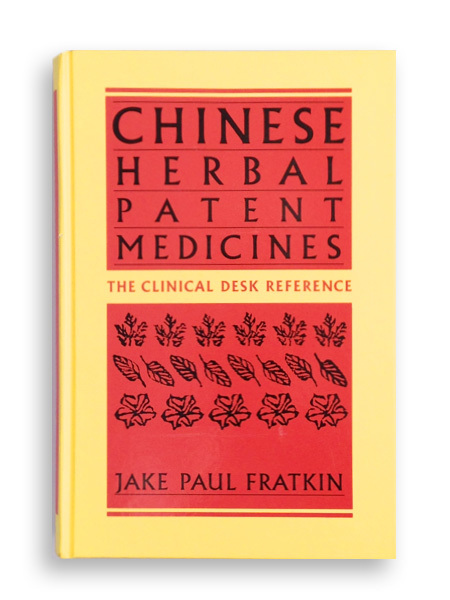 has been in practice since 1978, and is the author of Chinese Herbal Patent Medicines, The Clinical Desk Reference. 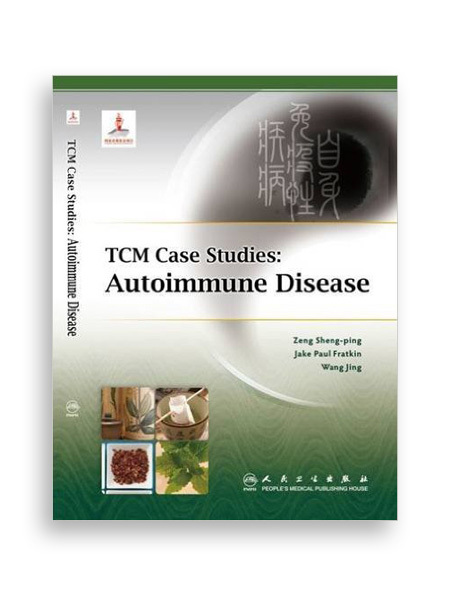 In this volume, the authors discuss the etiology and physiology of nine different autoimmune diseases, citing 2 to 4 cases in each study, with detailed analysis of herbal prescriptions used for each case.